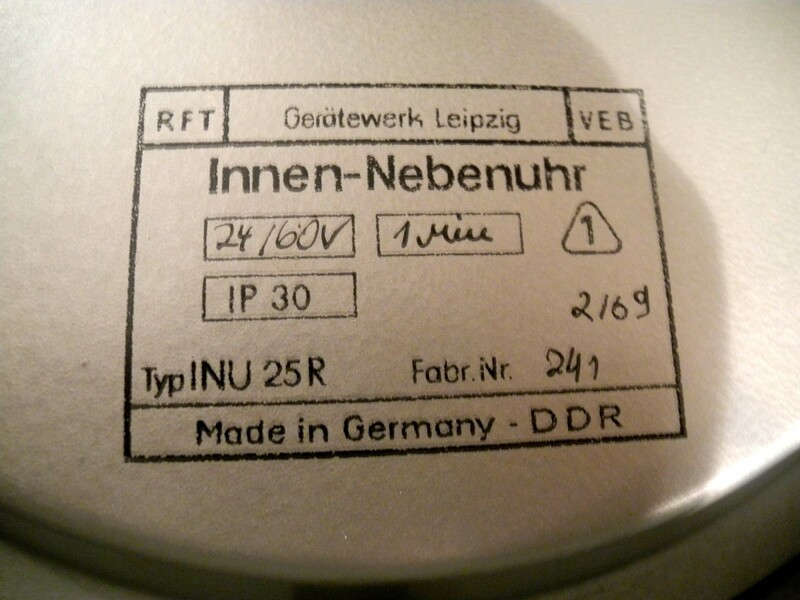 1960's East German Clock By RFT, Dated On The Back 1969, These RFT Clocks Are New Old Stock. Made In 1969 But Just Sat In A Warehouse & Were Never Used. 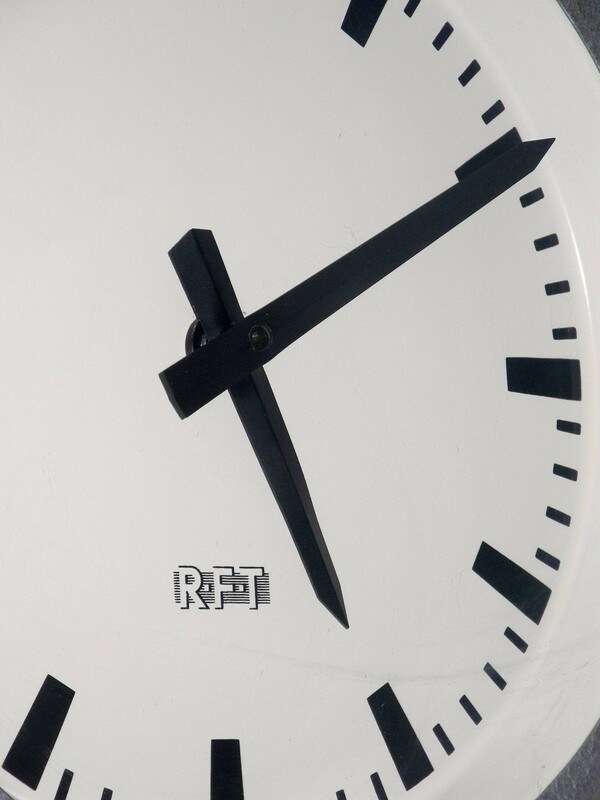 Were Used In Factories, Stations & Government Offices. 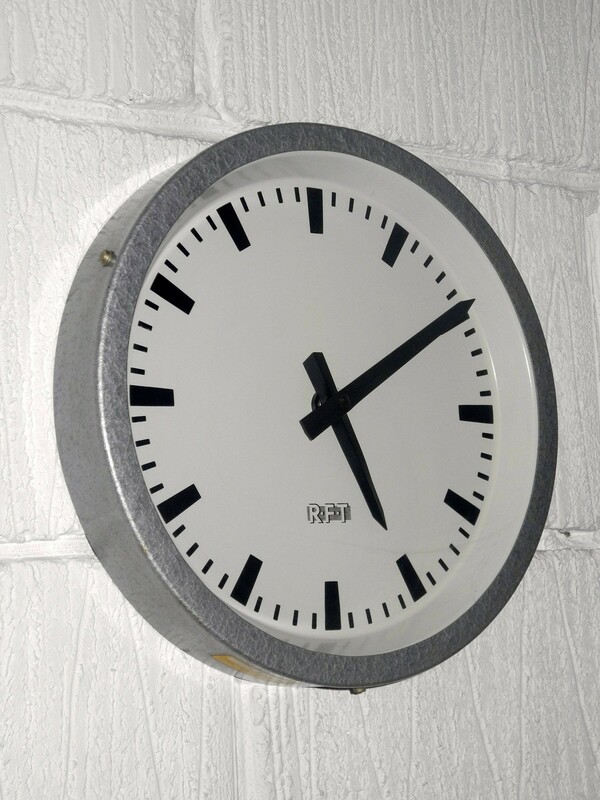 Clocks Are All Restored To Use A Quartz Battery Movement. 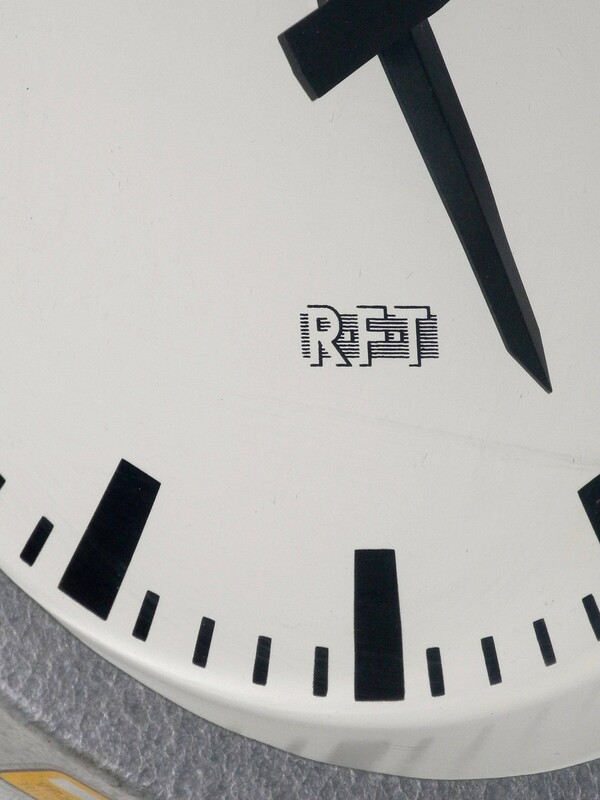 We Always Use The Original Clock Hands. 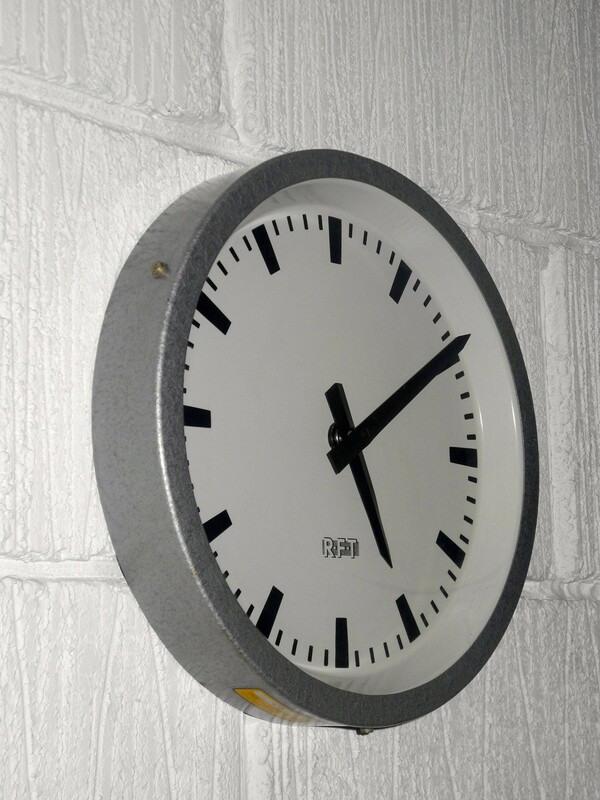 Metallic Grey Steel Frame With Steel Clock Face.